The story that Heather DePaola tells about how she and her husband, Steve, started organizing trips for the Appalachian Mountain Club is classic in its basic outline. It started with the couple’s shared desire to learn more about hiking. They had been married for one year when they signed up for an introductory class with AMC’s Boston Chapter to learn how to hike safely, using the proper gear. That was 10 years ago. Since that first class, Heather and Steve have climbed all 48 New Hampshire 4,000-footers. They added 4,000-foot peaks in Vermont and Maine to train for their first AMC Major Excursion, to Tanzania, in 2005. Climbing Mt. Kilimanjaro hooked the couple on major expeditions. They signed up for another in 2006, a backpacking trip to Alaska. Nine months later, their daughter, Mckinlee, was born. The arrival of their daughter didn’t change the level of the DePaolas’ involvement in AMC activities, but it did change the focus. 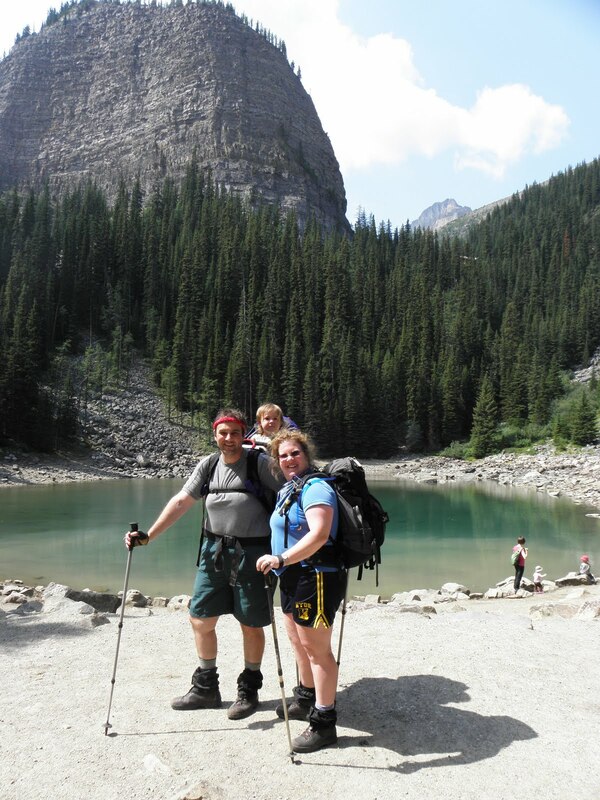 Last year, Heather and Steve organized a family-friendly major excursion for AMC to the Canadian Rockies. 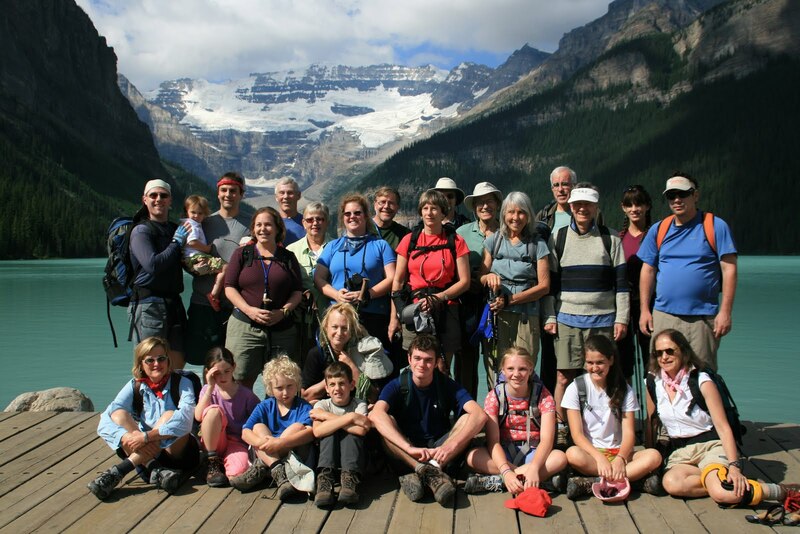 Their group of 25 adventurers, who ranged in age from 2 (Mckinlee) to 81, and included several other families, explored Banff National Park. In Banff, they hiked to high alpine lakes, walked over the Continental Divide, and took a driving trip to the Columbia Icefield. They saw black bear and bighorn sheep and rode in a massive Ice Explorer onto the Athabasca Glacier. Find full trip details here. Photos: The DePaolas at Mirror Lake, Canadian Rockies; AMC group picture at Lake Louise.